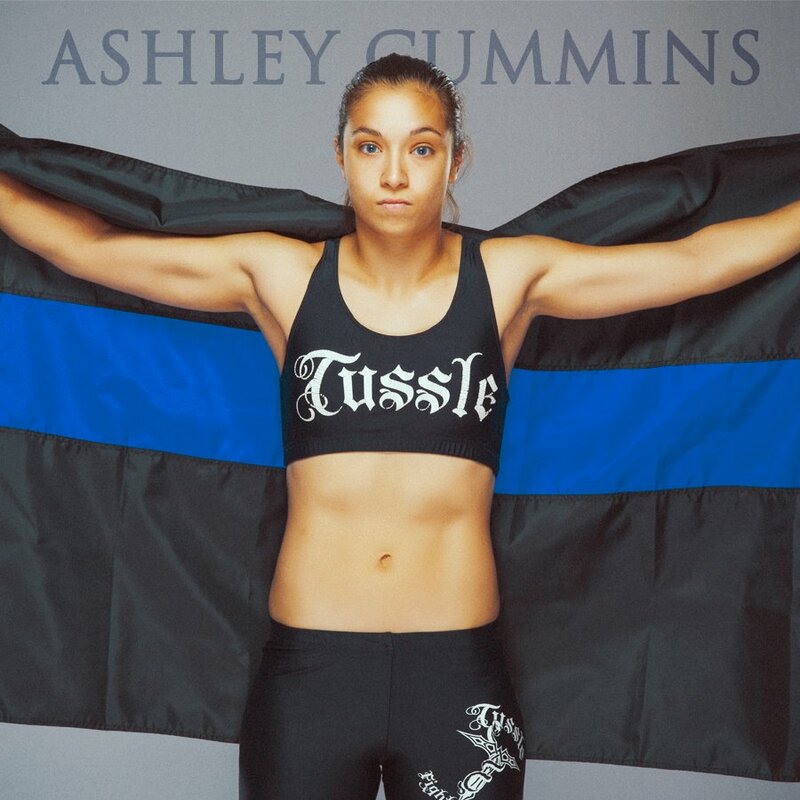 Ashley Cummins is an American mixed martial artist who competes in the Strawweight division. She is currently signed with Invicta FC. When Ashley “Smashley” Cummins was still very young, her mother had a concern about Cummins being able to protect herself in the future. She decided karate was a good place for her daughter to learn those skills. Cummins eventually moved on to soccer and softball, as well, and any spectator watching her play would’ve seen that self-defense or aggressiveness were not major issues. It was aggressiveness that helped Cummins find her future career, which has seen quick success. Cummins was first a college soccer player before she followed a longtime desire to enter martial arts that included more striking and contact. She found an MMA community in her hometown of St. Louis that encouraged its fighters to be patient, so she started with muay Thai fights, jiu-jitsu tournaments and then her amateur MMA career. Through the training and fighting, Cummins joined the St. Louis County police department, which adds an exercise element outside of her training. Sometimes, her MMA training even helps when pursuing suspects. In the meantime, Cummins hopes that she can continue her momentum. She credits much of her success to her slower-than-some advancement through training to fighting. After two years of college soccer, Cummins wanted to finally pursue her desire to try more combat sports. She had taken a few boxing and jiu-jitsu classes, but she wanted to be more serious. From the time she started training in more combat sports, Cummins wanted to sign up for fights. She wanted to move closer to home, so she researched gyms in the St. Louis area and landed at St. Charles MMA and Team Vaghi. There were rules about when she could fight. Frankly, she didn’t like them at first. So Cummins went through the tournament process and then started some fighting in muay Thai. 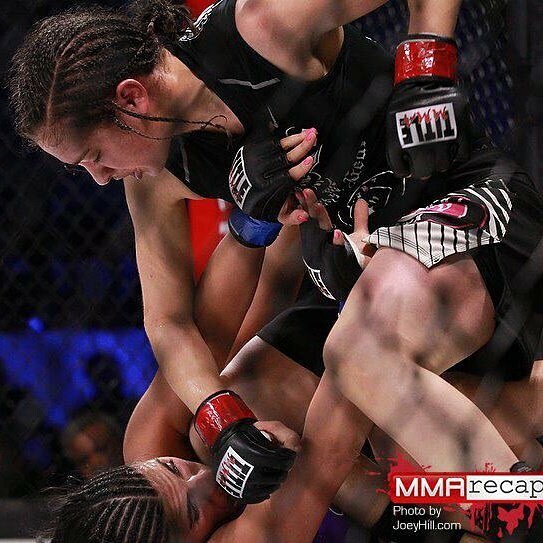 By the time she took her first amateur MMA fight, she was experienced with multiple kinds of events, and it proved useful in running to an 8-0 amateur MMA record. she can go deep into fights. Meanwhile, she works full time as a police officer, getting extra conditioning in while on the job. She mixes work with training while hoping to score another victory and stay on her undefeated roll. 04/08/2011 Ashley Cummins Jocelyn Lybarger The Future Stars of MMA!